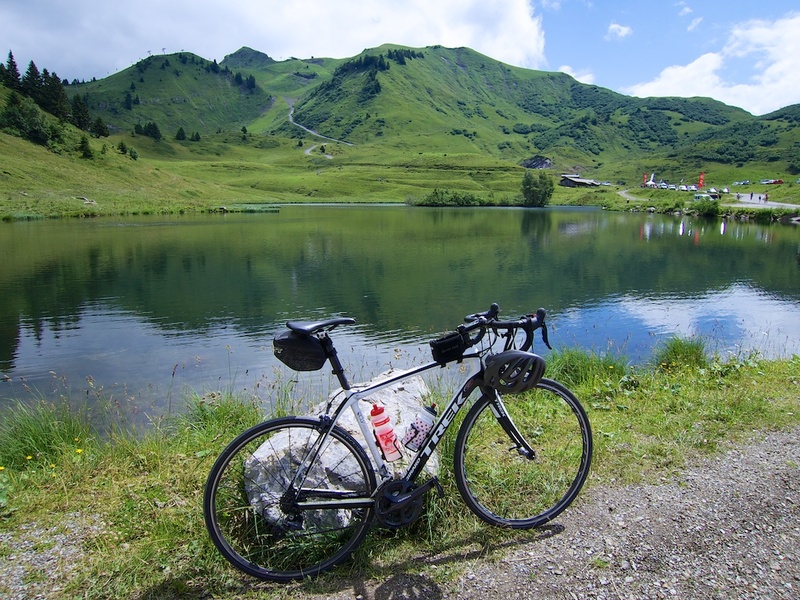 Sunday was car-free, bike-only day on both side of Col de Joux Plane. Another fun, traffic-free ride up a famous col. It’s been one of the wettest summers I can remember. But the rain held off, and a usual it was a pleasure to cycle in the glorious silence of the mountains. I took advantage of the closed roads and cycled slowly up and down both sides (map at bottom), enjoying the friendly ambience and free snacks at the summit. 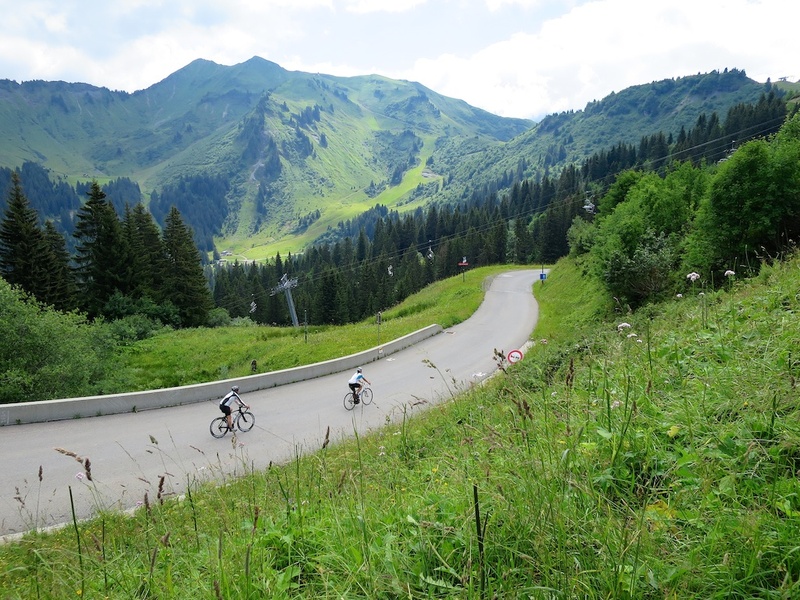 See here for a third way up Col de Joux Plane by mountain bike. 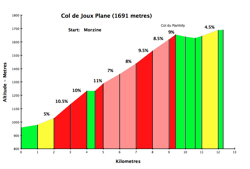 Col de Joux Plane has become one of my favourite winter climbs. 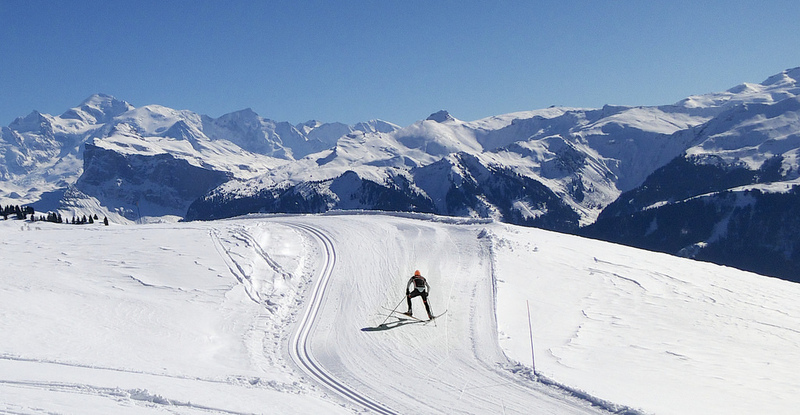 The famous, Samoëns side is sometimes cleared for access to cross-country skiing pistes. The adventurous can even cycle up and rent cross country skis.